Traditional dental bridges – This type of bridge uses two dental crowns to anchor a false tooth in place. 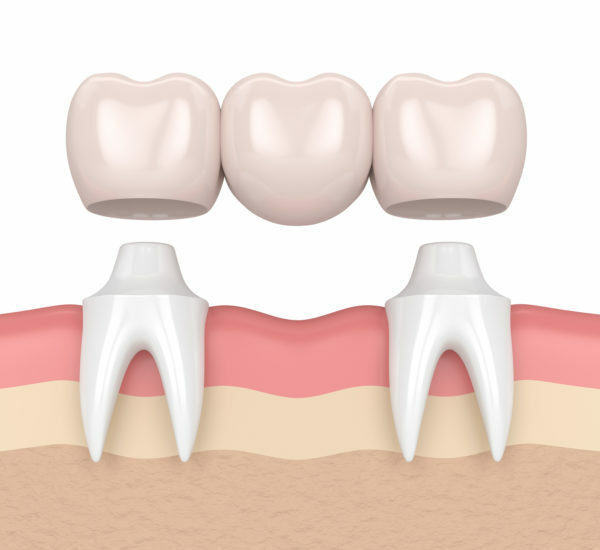 The dental crowns are placed on the teeth on each side of the gap. Cantilever bridges – These are similar to traditional dental bridges but are used when there are no natural teeth on one side of the gap. Resin-bonded bridges – These bridges use metal clasps and bonding cement to hold your new tooth in place. Resin-bonded bridges are great for patients who are missing their front teeth. If you would like more information about how dental bridges can restore the beauty of your smile call us today at our office in Auburn, Indiana.